The July-December 2018 Austrian EU presidency took place against the backdrop of major challenges and tensions in the bloc. Migration continued to divide EU member states, and the Brexit negotiations reached their final stage, putting the unity of the EU-27 to the test. Furthermore, with European elections looming in May 2019 and the European Parliament reaching the end of its term, many legislative decisions needed to be pushed through. "In this context, Austria's record shows mixed results," said Paul Schmidt, secretary general of the Austrian Society for European Politics. "Many goals were announced that later had to be adapted to political realities." When Austria took over the EU presidency, for the third time, on 1 July 2018, Austrian chancellor Sebastian Kurz declared that his government - in a coalition with the far-right Freedom Party of Austria (FPO) - would use its six-months tenure to promote what he called "a Europe that protects". Presenting Austria's priorities to the European Parliament in Strasbourg on 3 July, he explained that "[t]he protection of the European population must be our uppermost priority, and we need a paradigm shift in migration policy". "It is my goal that we reach a political agreement on the strengthening of Frontex, on an extension of the mandate and make a big step towards a better control of external borders," Kurz told the Austrian daily Der Standard in June. Six months later, it is clear that this goal was achieved only partially. 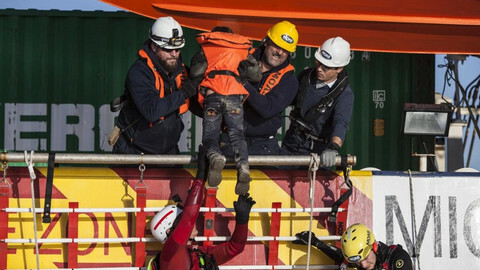 EU member states located along the EU's external border, such as Italy, Spain, Greece and Hungary, are not willing to surrender more border control duties to Frontex. At the informal EU summit in Salzburg on 20 September, they made clear that they considered this as an interference into their national sovereignty. However, the council did reach a partial agreement to give Frontex a wider scope regarding return policy and cooperation with third countries. In addition, the commission proposed to deploy 10,000 additional border guards. 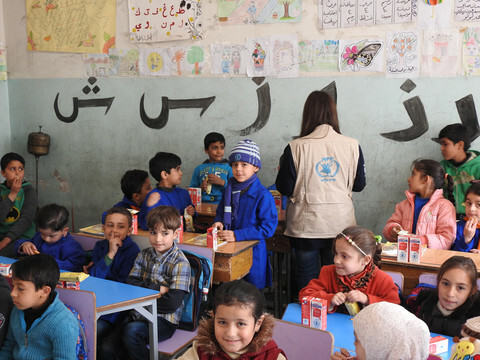 Besides strengthening external borders, no progress was made to overcome major differences, such as agreeing on quotas, reforming the Dublin Regulation, or implementing the plan of so-called disembarkation platforms outside the EU. In an apparent attempt to change the narrative on migration, Kurz hosted an EU-Africa Forum in Vienna on 18 December, entitled "taking cooperation to the digital age". More than 20 African leaders and 1,000 businesses came to Vienna, and all in all €2bn was pledged for Africa at the conference. Yet, key European partners, including Angela Merkel and Emmanuel Macron, decided to stay away from the event. 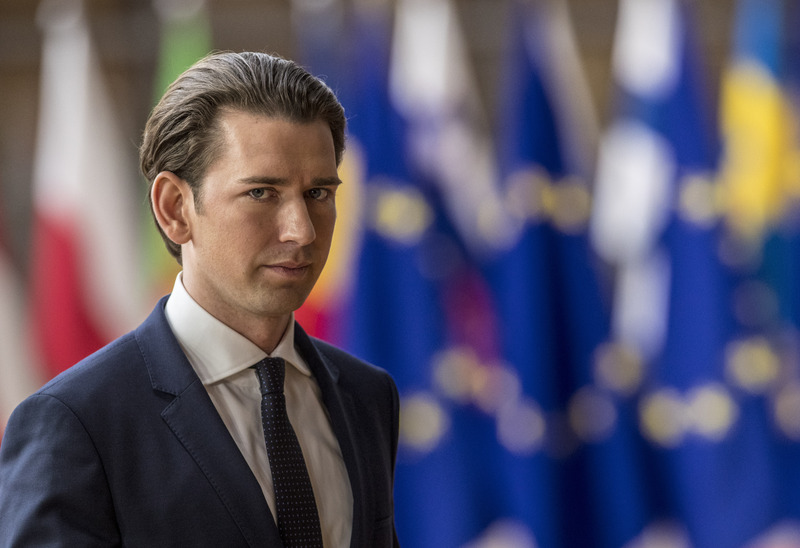 Kurz had aliened them with his government's decision to withdraw from the UN migration pact. During the Austrian presidency, the commission also finalised the Brexit withdrawal agreement and the political declaration. 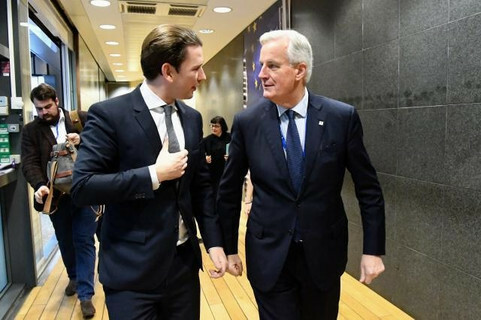 "While the mandate for negotiations lies with Michel Barnier, the Austrian presidency worked very hard to maintain the unity of the EU-27," one diplomat familiar with the negotiations said. It seems that this goal was achieved, with the small exception of Spain and its short-lived - yet public - row with the UK on the status of Gibraltar after Brexit. Another main goal of the Austrian presidency was to foster the integration of the Western Balkans into the Union. 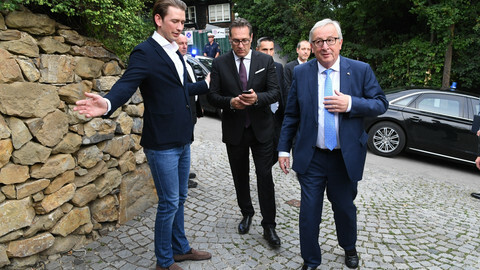 "The European Union project can – in our eyes – only be considered complete once the Western Balkan states have also become part of our united Europe," Kurz said in his speech on 3 July. The ambitions of the Austrian foreign ministry were high, particularly regarding a potential agreement between Serbia and Kosovo that would have moved forward the integration process significantly. Extensive diplomatic travel to the region was undertaken, including by the Austrian foreign minister Karin Kneissl. "There was a bit of disappointment when it became clear that this would not materialise," one diplomat explains. 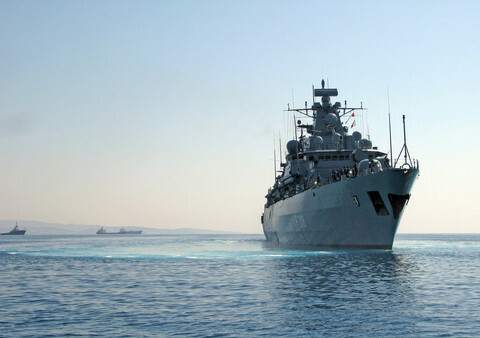 However, it has to be added that during the Austrian presidency, Montenegro opened one new negotiating chapter, while Serbia opened two additional ones. One issue that deserves particular mention is the Austrian presidency's achievement to broker agreement on a declaration on the fight against anti-Semitism. 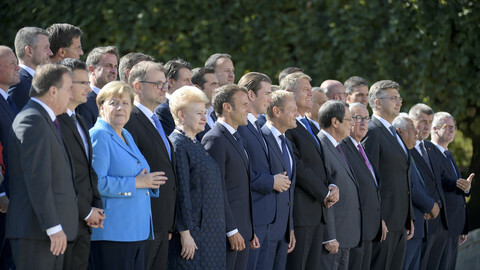 Several references in the declaration, including to the anti-Semitism definition of the International Holocaust Remembrance Alliance, were met with strong opposition from several EU member states and almost led to the collapse of the negotiations. However, the negotiator from the Austrian Interior Ministry achieved a breakthrough, which led to the adoption of the declaration by the European Council on 6 December. "In general, the backbreaking work of civil servants should not be underestimated," says the spokesperson of the Austrian EU presidency in Brussels. "The EU presidency means a lot of additional work, because as chair of the many meetings during the last months, we had to act as neutral and honest broker in order to achieve compromises among the 28." Some progress was thus achieved, not only with the anti-Semitism declaration but also in the area of environmental protection. Finally, however, Kurz's much-repeated promise to act as "bridge-builder in the EU" could not be kept. Austria's decision on 31 October to withdraw from the UN migration pact left many European partners alienated and caused great damage to the international reputation of the country. Most observers believe that Kurz gave in on this to demands by the far-right FPO coalition partner. This decision was made worse by the fact that Austria held the EU presidency and was expected to fulfil the role of broker and supporter of multilateralism. 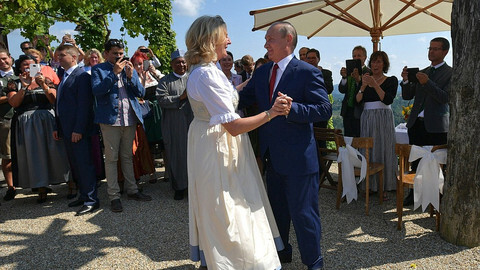 Similarly, many European partners were taken aback by the attendance of Russian president Vladimir Putin at the wedding of Austrian foreign minister Kneissl in August. This reduced the country's credibility to act as bridge-builder between Russia and West. 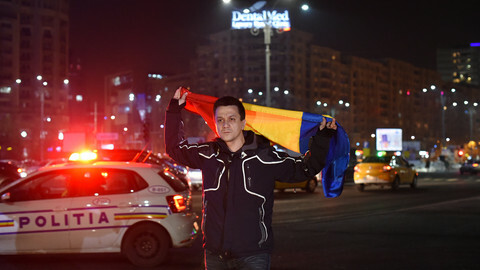 On 1 January 2019, Romania will take over the EU presidency from Austria and with it thus inherit a mixed bag of challenges. Austria's EU presidency: a bridge over troubled water? The informal Salzburg summit will be an opportunity for Austria to breath some life into the bridge building catchphrase, and to act as honest broker to find common ground.